With helmeted heroes Daft Punk breaking streaming records and set to score their first UK number 1 single this weekend with Get Lucky, what better time than now to bring you a collection of sounds that celebrates all things robotic? Prepare for a distinctly vocoded vibe as SampleRadar becomes more machine than man. 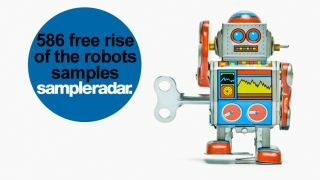 The rise of the robots samples are divided into four folders: Beats, Robot Voices, Synths and Vochordals. The rise of the robots samples are supplied in a zip file, so you'll need to extract them before you can see them. Enjoy!